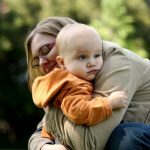 In recent weeks, the Kohelet Policy Forum has been advocating for a reduction in the benefits available to single-mothers. The timing for publication of the report: in advance of a planned Knesset discussion about the criteria for low-income single-parent families to qualify for public housing. Currently, only a single-mother with at least three children who is receiving income support is eligible. The Kohelet Policy Forum report reviews the benefits allotted to single-parent households and claims that they constitute an economic incentive to women to become single mothers. The report further argues that the many, extensive benefits available cause single mothers who are in a relationship to deceive the National Insurance Institute. No proof was given in the report to substantiate this claim. The report is missing other things as well. It does not provide information about the rates and/or income levels of single mothers. It is worth noting that the percentage of single mothers in Israel is very low compared to other countries: In Israel, 12.6% of families with children under the age of 24 are single-parent households, compared with the average of 20% in OECD countries. 86% of single parent households in Israel are headed by single-mothers. According to the latest poverty report of the National Insurance Institute (NII), 26% of single parent families were poor, compared with 18.5% of the general population. This figure represents a third of Israel’s poor households – despite what the Kohelet Forum defines as extensive benefits. The NII further points out the increase in the poverty rate of single-parent families, and their difficulty to break out of the cycle of poverty despite very high employment rates among single parents. This fact is the result of gender income gaps, part-time employment and inadequate work grants (earned income credits). There is no sociological research in the report nor does it present comparative data from other countries. Single mothers with low income constitute a high percentage of poor families worldwide. Many sociological studies identify this as a characteristic of life in poverty – fathers deserting the family unit, violence, alcoholism and drugs, and multiple teen pregnancies for lack of awareness of access to contraceptives. The report was recently presented to an inter-ministerial committee that is examining the Housing Ministry’s proposal for expanding public housing options. The comments made in the committee discussion have no basis in the real world. The claim was made that reliance on welfare is a temporary state lasting several months or years – a claim that has no bearing in the familiar reality of cross-generational poverty and the widening of poverty in Israel over recent decades. At the committee meeting, Forum members argued that rent subsidies constitute an effective and economically feasible means of assistance for poor families. They explained that public housing is waste of public resources because the family stays in the apartment even after the children reach the age of 21 and can support themselves. So here is my suggestion to the members of the Kohelet Policy Forum: Do as you say. Inform your own children, when they reach the age of 21, that they are now out on their own. That they have to work for a living, rent their own apartment (without your serving as guarantors). That they can no longer live in your house. Kohelet’s economic model does not even account for the nonexistent bargaining power of single parent families and poor families in general in the housing rental market. These are families that cannot provide collateral or pay a deposit in advance and are pushed to the worst, tiniest apartments, where they cannot demand even the most basic maintenance work from their landlords. In 2011, middle-income young people marched in the streets because of their inability to afford housing in the rental market. Their plight made the Israeli public and its leadership acknowledge the existence of a housing crisis in Israel. If middle-incomers cannot afford housing, what can poor single mothers do?